From the bestselling author of The Black Swan and one of the foremost thinkers of our time, Nassim Nicholas Taleb, a book on how some things actually benefit from disorder. In The Black Swan Taleb outlined a problem, and in Antifragile he offers a definitive solution: how to gain from disorder and chaos while being protected from fragilities and adverse events. For what Taleb calls the “antifragile” is actually beyond the robust, because it benefits from shocks, uncertainty, and stressors, just as human bones get stronger when subjected to stress and tension. The antifragile needs disorder in order to survive and flourish. Taleb stands uncertainty on its head, making it desirable, even necessary, and proposes that things be built in an antifragile manner. The antifragile is immune to prediction errors. Why is the city-state better than the nation-state, why is debt bad for you, and why is everything that is both modern and complicated bound to fail? 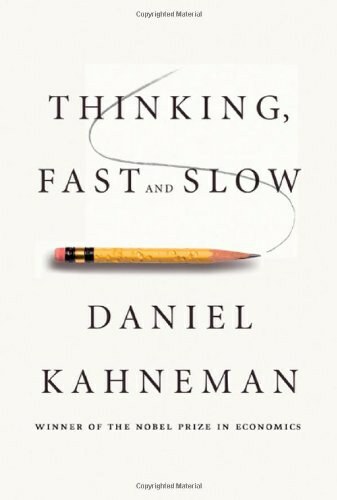 The book spans innovation by trial and error, health, biology, medicine, life decisions, politics, foreign policy, urban planning, war, personal finance, and economic systems. And throughout, in addition to the street wisdom of Fat Tony of Brooklyn, the voices and recipes of ancient wisdom, from Roman, Greek, Semitic, and medieval sources, are heard loud and clear. Extremely ambitious and multidisciplinary, Antifragile provides a blueprint for how to behave—and thrive—in a world we don't understand, and which is too uncertain for us to even try to understand and predict. Erudite and witty, Taleb’s message is revolutionary: What is not antifragile will surely perish. Nassim Nicholas Taleb has devoted his life to immersing himself in problems of luck, uncertainty, probability, and knowledge, and he has led three high-profile careers around his ideas, as a man of letters, as a businessman-trader, and as a university professor. Although he spends most of his time as a flâneur, meditating in cafés across the planet, he is currently Distinguished Professor of Risk Engineering at New York University’s Polytechnic Institute. His work has been published in thirty-three languages. You'll love it, or you'll be bored to death. There's no other way. Listened to auidbook, not really paid too much attention to the content. I will not say it is well written, the structure and content organisation is a mess. Nevertheless, the book is thought provoking, recommend reading. The very idea of being an Einstein in physics is no longer original. There are secrets to our world that only practice can reveal, and no opinion or analysis will ever capture in full. This secret property is, of course, revealed through time, and, thankfully, only through time. The glass is dead; living things are long volatility. The best way to verify that you are alive is by checking if you like variations. Remember that food would not have a taste if it weren't for hunger; results are meaningless without effort, joy without sadness, convictions without uncertainty, and an ethical life isn't so when stripped of personal risks. No one at present dares to state the obvious: growth in society may not come from raising the average the Asian way, but from increasing the number of people in the "tails", that small, very small, number of risk takers crazy enough to have ideas of their own, those endowed with that very rare ability called imagination, that rarer quality called courage, and who make things happen. Further, you will never get to know yourself -- your real preferences -- unless you face options and choices. 一匹快马在和慢马比赛的时候更容易输掉，反而和更快的马赛跑的时候容易赢。 需要公开讲话的时候，声音稍微小点反而更能吸引群众的注意力，但这个度一定要掌握好，高低犹不及。 一帆风顺越久，当混乱发生时，伤害越大。 关注点放在你不会失去的东西上（获得的能力，快乐，知识，修养等）invest in good actions. Things can take away from us-not good deeds and acts of virtue. 好的事情往往会让你无所适从。富人的财富让他..
关注点放在你不会失去的东西上（获得的能力，快乐，知识，修养等）invest in good actions. Things can take away from us-not good deeds and acts of virtue. Almost everything contemporary has winner-take-all effects, which includes sources of harm and benefits. Some respect for the past, some curiosity about the historical record, a hunger for the wisdom of the elders, and a grasp of the notion of heuristics. Dignity is worth noting unless you earn it, unless you are willing to pay a price for it. It's rather a good thing to lose argument. Food would not have a taste if it weren't for hunger; results are meaningless without effort, joy without sadness, convictions without uncertainty, and an ethical life isn't so when stripped of personal risks. It is said that the best horses lose when they compete with slower ones, and win against better rivals. Undercompensation from the absence of a stressor, inverse hormesis, absence of challenge, degrades the best of the best. In Baudelaire’s poem, “The albatross’s giant wings prevent him from walking”—many do better in Calculus 103 than Calculus 101. So not only are we made to overcompensate, but we sometimes need the noise. Like many writers, I like to sit in cafés, working, as they say, against resistance. Consider our bedtime predilection for the rustle of tree leaves or the sound of the ocean: there are even electric contraptions that produce “white noise”3 that helps people sleep better. Now these small distractions, like hormetic responses, act up to a point. If humans fight the last war, nature fights the next one. Your body is more imaginative about the future than you are. Consider how people train in weightlifting: the body overshoots in response to exposures and overprepares (up to the point of biological limit, of course). This is how bodies get stronger. The workout was limited to trying to exceed that mark once or twice, rather than spending time on un-entertaining time-consuming repetitions. Like tormenting love, some thoughts are so antifragile that you feed them by trying to get rid of them, turning them into obsessions. Psychologists have shown the irony of the process of thought control: the more energy you put into trying to control your ideas and what you think about, the more your ideas end up controlling you. Information is antifragile; it feeds more on attempts to harm it than it does on efforts to promote it. For instance, many wreck their reputations merely by trying to defend it. The wily Venetians knew how to spread information by disguising it as a secret. Try it out with the following experiment in spreading gossip: tell someone a secret and qualify it by insisting that it is a secret, begging your listener “not to tell anyone”; the more you insist that it remain a secret, the more it will spread. There is a visible selection bias: why did he attack you instead of someone else, one of the millions of persons deserving but not worthy of attack? It is his energy in attacking or badmouthing that will, antifragile style, put you on the map. You do not want to “control” your reputation; you won’t be able to do it by controlling information flow. Instead, focus on altering your exposure, say, by putting yourself in a position impervious to reputational damage. Or even put yourself in a situation to benefit from the antifragility of information. In that sense, a writer is antifragile, but we will see later most modernistic professions are usually not. So I end this section with a thought. It is quite perplexing that those from whom we have benefited the most aren’t those who have tried to help us (say with “advice”) but rather those who have actively tried—but eventually failed—to harm us. Now the crux of complex systems, those with interacting parts, is that they convey information to these component parts through stressors, or thanks to these stressors: your body gets information about the environment not through your logical apparatus, your intelligence and ability to reason, compute, and calculate, but through stress, via hormones or other messengers we haven’t discovered yet. For complex systems are, well, all about information. And there are many more conveyors of information around us than meet the eye. This is what we will call causal opacity: it is hard to see the arrow from cause to consequence, making much of conventional methods of analysis, in addition to standard logic, inapplicable. As I said, the predictability of specific events is low, and it is such opacity that makes it low. Not only that, but because of nonlinearities, one needs higher visibility than with regular systems—instead what we have is opacity. Such a stressor would be certainly better than the mild but continuous stress of a boss, mortgage, tax problems, guilt over procrastinating with one’s tax return, exam pressures, chores, emails to answer, forms to complete, daily commutes—things that make you feel trapped in life. In other words, the pressures brought about by civilization. In fact, neurobiologists show that the former type of stressor is necessary, the second harmful, for one’s health. And once in a while one hears shouts of “who is governing us?” as if the world needs someone to govern it. It is the systematic removal of uncertainty and randomness from things, trying to make matters highly predictable in their smallest details. All that for the sake of comfort, convenience, and efficiency. it consists in converting activities, and not just travel, into the equivalent of a script like those followed by actors. We will see how touristification castrates systems and organisms that like uncertainty by sucking randomness out of them to the last drop—while providing them with the illusion of benefit. The guilty parties are the education system, planning the funding of teleological scientific research, the French baccalaureate, gym machines, etc. Unlike with hormesis, the unit does not get stronger in response to stress; it dies. But it accomplishes a transfer of benefits; other units survive—and those that survive have attributes that improve the collective of units, leading to modifications commonly assigned the vague term “evolution” in textbooks and in the New York Times Tuesday science section. So the antifragility of concern here is not so much that of the organisms, inherently weak, but rather that of their genetic code, which can survive them. The code doesn’t really care about the welfare of the unit itself—quite the contrary, since it destroys many things around it. The more noise and disturbances in the system, up to a point, barring those extreme shocks that lead to extinction of a species, the more the effect of the reproduction of the fittest and that of random mutations will play a role in defining the properties of the next generation. Even when there is extinction of an entire species after some extreme event, no big deal, it is part of the game. This is still evolution at work, as those species that survive are fittest and take over from the lost dinosaurs—evolution is not about a species, but at the service of the whole of nature. We can simplify the relationships between fragility, errors, and antifragility as follows. When you are fragile, you depend on things following the exact planned course, with as little deviation as possible—for deviations are more harmful than helpful. This is why the fragile needs to be very predictive in its approach, and, conversely, predictive systems cause fragility. When you want deviations, and you don’t care about the possible dispersion of outcomes that the future can bring, since most will be helpful, you are antifragile. And of course you learn from the errors of others. You may never know what type of person someone is unless they are given opportunities to violate moral or ethical codes. Further, my characterization of a loser is someone who, after making a mistake, doesn’t introspect, doesn’t exploit it, feels embarrassed and defensive rather than enriched with a new piece of information, and tries to explain why he made the mistake rather than moving on. These types often consider themselves the “victims” of some large plot, a bad boss, or bad weather. Finally, a thought. He who has never sinned is less reliable than he who has only sinned once. someone who has made plenty of errors—though never the same error more than once—is more reliable than someone who has never made any. Someone paid a price for the system to improve. Procrustes was an inn-keeper in Greek mythology who, in order to make the travelers fit in his bed, cut the limbs of those who were too tall and stretched those who were too short. But he had the bed fitting the visitor with total perfection. Where simplifications fail, causing the most damage, is when something nonlinear is simplified with the linear as a substitute. Man-made smoothing of randomness produces the equivalent of John’s income: smooth, steady, but fragile. A week with declining earnings for a taxi driver or a prostitute provides information concerning the environment and intimates the need to find a new part of town where clients hang around; a month or so without earnings drives them to revise their skills. Nature loves small errors (without which genetic variations are impossible), humans don’t—hence when you rely on human judgment you are at the mercy of a mental bias that disfavors antifragility. But this bottom-up form of dictatorship provides protection against the romanticism of utopias, since no big ideas can be generated in such an unintellectual atmosphere—it suffices to spend some time in cafés in the old section of Geneva, particularly on a Sunday afternoon, to understand that the process is highly unintellectual, devoid of any sense of the grandiose, even downright puny (there is a famous quip about how the greatest accomplishment of the Swiss was inventing the cuckoo clock while other nations produced great works—nice story except that the Swiss did not invent the cuckoo clock). But the system produces stability—boring stability—at every possible level. On a large scale, others are abstract items; given the lack of social contact with the people concerned, the civil servant’s brain leads rather than his emotions—with numbers, spreadsheets, statistics, more spreadsheets, and theories. Mediocristan—plenty of variations that might be scary, but tend to cancel out in the aggregate (over time, or over the collection of municipalities that constitute the larger confederation or entity)—rather than the unruly one called Extremistan, in which you have mostly stability and occasionally large chaos—errors there have large consequences. The butcher will keep feeding the turkey until a few days before Thanksgiving. Then comes that day when it is really not a very good idea to be a turkey. So with the butcher surprising it, the turkey will have a revision of belief—right when its confidence in the statement that the butcher loves turkeys is maximal and “it is very quiet” and soothingly predictable in the life of the turkey. This example builds on an adaptation of a metaphor by Bertrand Russell. The key here is that such a surprise will be a Black Swan event; but just for the turkey, not for the butcher. We humans lack imagination, to the point of not even knowing what tomorrow’s important things look like. 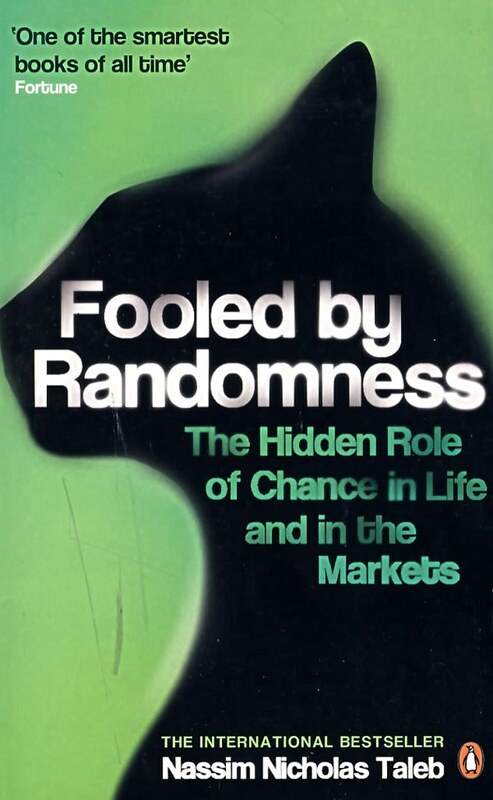 We use randomness to spoon-feed us with discoveries— which is why antifragility is necessary. Just as great geniuses invent their predecessors, practical innovations create their theoretical ancestry. Even then, technologies seem to go backward and forward, with the more natural and less fragile superseding the technological. the simpler and more obvious the discovery, the less equipped we are to figure it out by complicated methods. Simplicity, I realized, does not lead to laurels. antifragility (thanks to the asymmetry effects of trial and error) supersedes intelligence. as a skeptical empiricist, I do not consider that resisting new technology is necessarily irrational: waiting for time to operate its testing might be a valid approach if one holds that we have an incomplete picture of things. as I keep saying, removal of something nonnatural does not carry long-term side effects; it is typically iatrogenics-free. Never ask what they want, or where they want to go, or where they think they should go, or, worse, what they think they will desire tomorrow.